Momenta data meetings are very important. They help you find the kids that need help, and show you how to help those kids. Momenta coaches are always supportive, they are never critical. Kelly Ally received her M.Ed from Notre Dame College. She was a classroom teacher in the Lowell, MA Public Schools and an adjunct professor at Middlesex Community College, co-authoring their “Step-Up” program, assisting paraprofessionals in obtaining teacher certification. She has provided consulting to schools in MA, NH, and NY, and developed and conducted training workshops for the Department of Education in both the Reading First and Bay State Readers initiatives, as well as for the Reading Trainer’s Network. “As a principal for many years, I recognize the challenging demands and the hectic pace of the position. In the role of principal coach, I am pleased to offer support, perspective, and mentoring to current principals." Nancy Connelly, holds an M.Ed. from Boston College. A veteran educator, Ms. Connelly retired from the Randolph Public Schools after thirty-seven years, twenty years of which she was principal of two schools, and four years as an Assistant Principal/Head Teacher. In addition to administrative positions, she was a teacher at the elementary and middle schools levels. Ms. Connelly brings particular experience with family engagements efforts, the organization of professional development and mentoring for teachers, and initiation and coordination of district-wide literacy programs and summer academic support for young readers. Dr. Joan Connolly works for Momenta as a Principal Coach in both urban and suburban districts. She also serves as Program Administrator of the New Superintendents Induction Program, a partnership between the Massachusetts Association of School Superintendents and the MA Department of Elementary and Secondary Education. She administers this program now in its seventh year and coaches new superintendents in districts across the state. She has held many positions in public education including teacher, guidance counselor, assistant principal, principal, assistant superintendent and superintendent. She was the Superintendent of the Malden Public Schools from 2000-2007 and Superintendent of the Winthrop Public Schools from 1996-2000. From 2007-2009 she was the Academic Director of Professional Programs in Education at the Harvard Graduate School of Education. She was the Co-Facilitator of the Massachusetts Urban Superintendents’ Network for six years and served as a member of the Executive Committee of the Massachusetts Association of School Superintendents for seven years. She was President of MASS from 2005-2006. She was an adjunct member of the faculty at Salem State College for eighteen years, teaching in both the School Administration Program and the CAGS Program. She serves on the Board of Directors of the Center for Collaborative Education and The Paul Revere Innovation School. Maureen Connors holds an M.Ed. in Curriculum and Instruction in ESL from University of Massachusetts- Lowell. During 36 years with Lawrence Public Schools she was a classroom teacher, ESL teacher, Bilingual Lead Teacher, Curriculum Facilitator, ESL Staff Developer, Success For All Facilitator. She was also a Reading First Reading Specialist, leading her school to an early exit from the Reading First grant due to level of implementation and achieving all goals. Momenta recognizes that children have various learning styles. As coaches ,we work with teachers and principals to address those differences while celebrating student and teacher successes. Since Ben received his M.Ed from the Harvard Graduate School of Education he has worked on the forefront of change in education as a classroom teacher for elementary age students, high school age Special Education teacher and as a literacy consultant in schools from Alaska to Florida. In addition Ben has taught Masters level coursework at Merrimack College and Arizona State University as an adjunct faculty. Judith Fletcher holds an M. Ed. with a concentration in Reading from American International College. Judith has been a successful teacher and principal, with over thirty- eight years experience in both urban and suburban settings, beginning in the Holyoke Public Schools as a Reading Specialist. During that time, she also served as the Director and Supervisor of the American International College Summer Reading Clinic, a graduate course for students seeking Reading Specialist licensure. Judith recently retired as a Principal in the East Longmeadow school district. Heather Provenzano received her B.S. in Inclusive Elementary and Special Education from Syracuse University. In addition, she completed her M.Ed. in Curriculum and Instruction in Reading at Lesley University. Heather began her career in Malden at the Salemwood School. During her ten years in the Malden Public Schools, Heather was a special education teacher, a classroom teacher, and a K-8 literacy coach. As a teacher and literacy coach at the Salemwood School, Heather participated in partnerships with the Expanding Learning Time Grant and Momenta; both of which contributed to the success of the Salemwood School. As the literacy coach, Heather was instrumental in improving student performance on standardized assessments; she facilitated school and district professional development trainings, coached grade levels teams, and provided support for teachers to enhance literacy instruction. Heather is excited to be part of the incredible team of Momenta consultants. 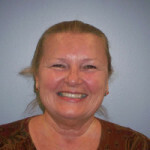 Miffy Somers is a skilled Principal Coach and Professional Development provider. In her role as Senior Adviser for Momenta, she’s instrumental in shaping and supporting the practices and behaviors of all stakeholders. Educated at Lesley University and Salem State College for graduate work, Miffy is an experienced instructional leader having been a Principal, Assistant Principal, and classroom teacher at both the elementary and middle school levels. As Principal Coach for Momenta, she frames and articulates measurable goals, models data driven analysis based on the Common Core, connects outcomes to walk-throughs, and implements RTI in support of a collaborative school climate and schoolwide learning culture. Grace Marie Greeno holds an M.Ed. degrees from University of Massachusetts and a CAES and Ed. D. from Boston College. Dr. Greeno retired from Revere Public Schools after 35 years where she served as Director of Literacy, Title I and Early Childhood for 18 years. Under her leadership, Revere’s Reading First Grant was identified as one of the six most successful programs in Massachusetts. 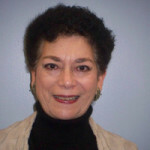 Previously, she served as Early Childhood Specialist, Core Evaluation Team (CET) liaison, a teacher in both regular and special education classes, and as adjunct professor at Lesley College. She presently is an adjunct faculty member at Fitchburg State University.